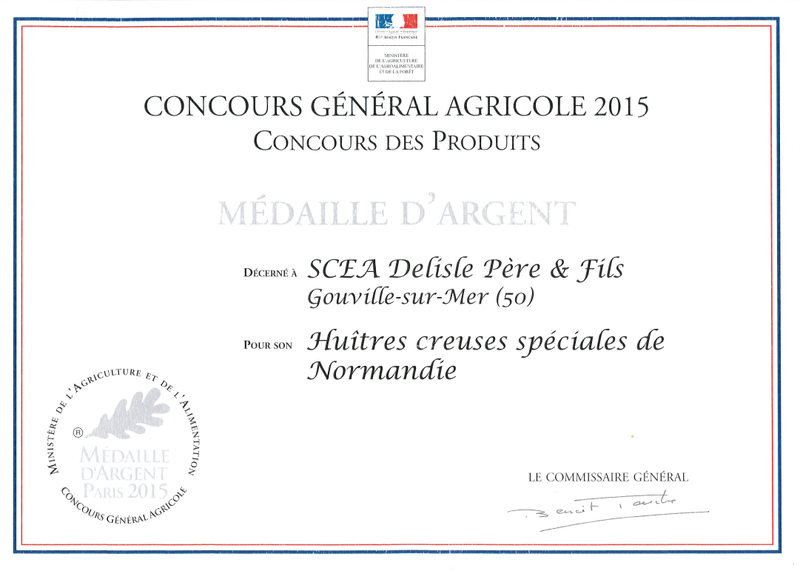 With the strongest tides in Europe, the Normandy coast offers the most tasty seafood. Discover the subtle and powerful taste of Normandy oysters. 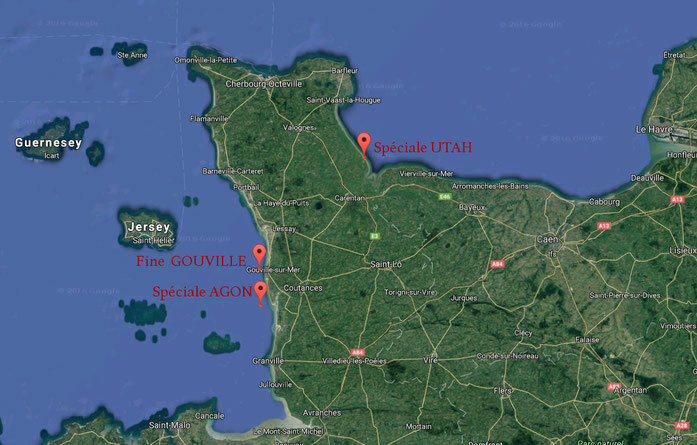 On the west coast of the Cotentin, from Granville Bay to Port-bail, via Agon-Coutainville, Blainville-sur-Mer and Gouville, the oyster parks are exposed to offshore winds and powerful tidal currents. 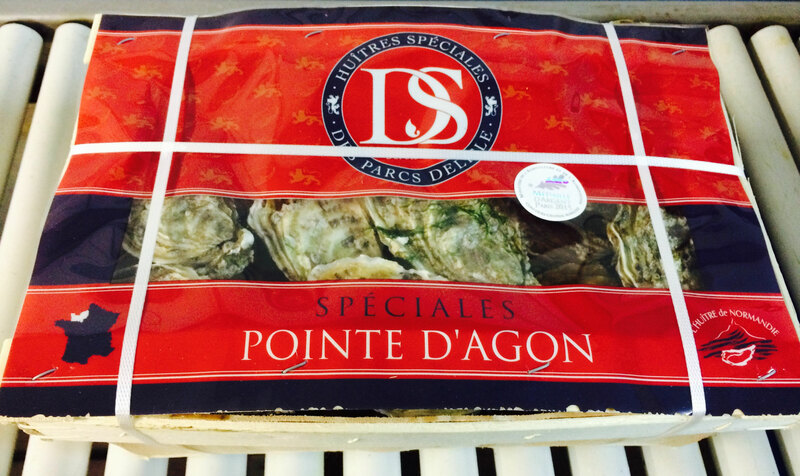 It is the domain of an oyster characterized by its iodized fragrance and its strong taste. 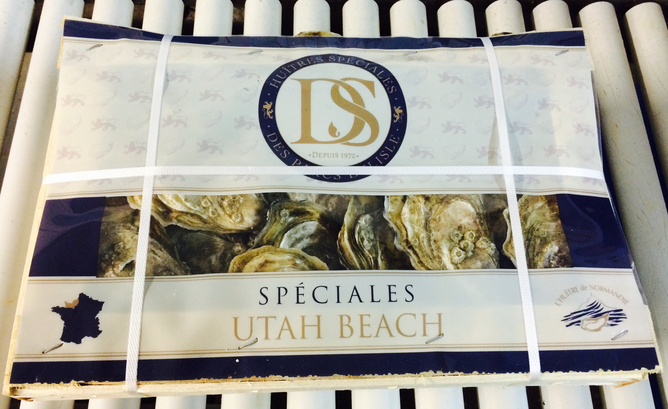 After several years of work and experimentation we have resulted in the production of two high-end oyster crusts. 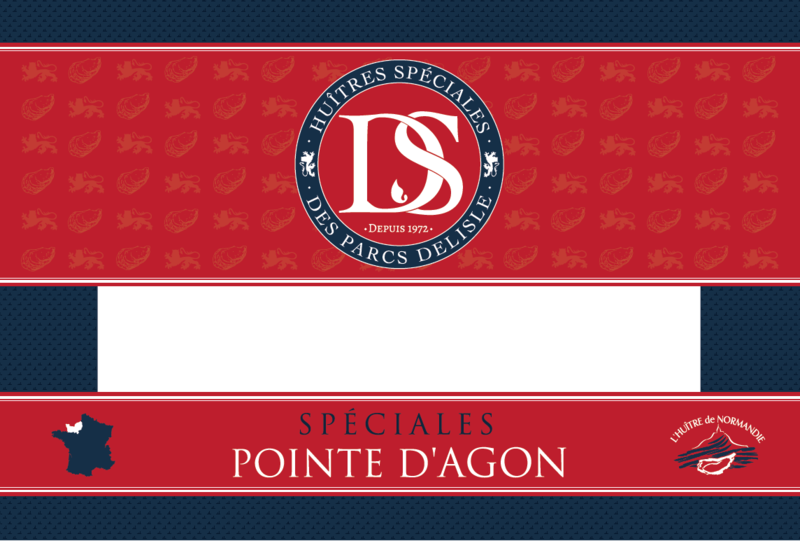 Each cru is defined by its final ripening site, "Utah Beach" and "Pointe d'Agon". 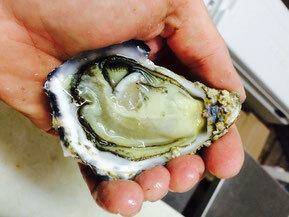 SPECIAL OYSTERS are distinguished, which have a higher volume of flesh (flesh index is greater than 10.5) and fine oysters that are very fleshy (flesh index is between 6.5 and 10). 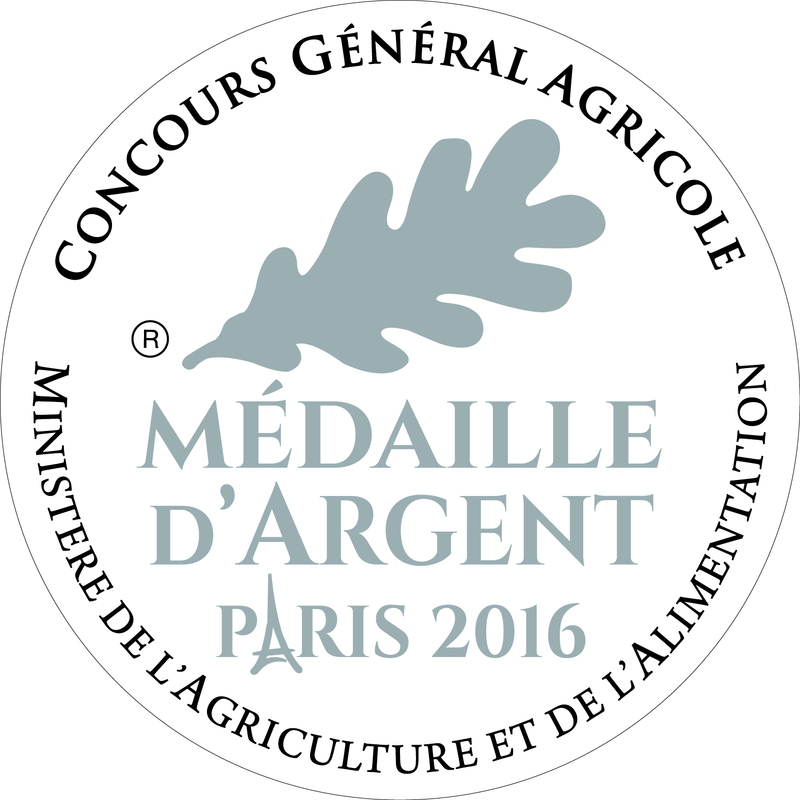 Our "DS Pointe d'Agon" line was awarded in 2015, during its first competition, with a silver medal at the Concours Général Agricole de Paris 2015 (page 5) during the agricultural fair. 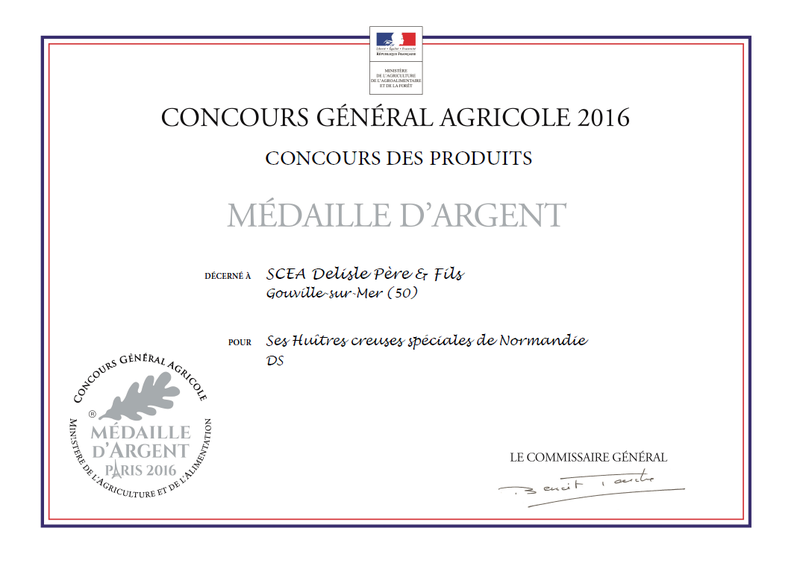 For the second time, our "DS Pointe d'Agon" range was awarded in 2016, during its second contest, with a silver medal at the Concours Général Agricole de Paris 2016 (page 3) during the agricultural fair. 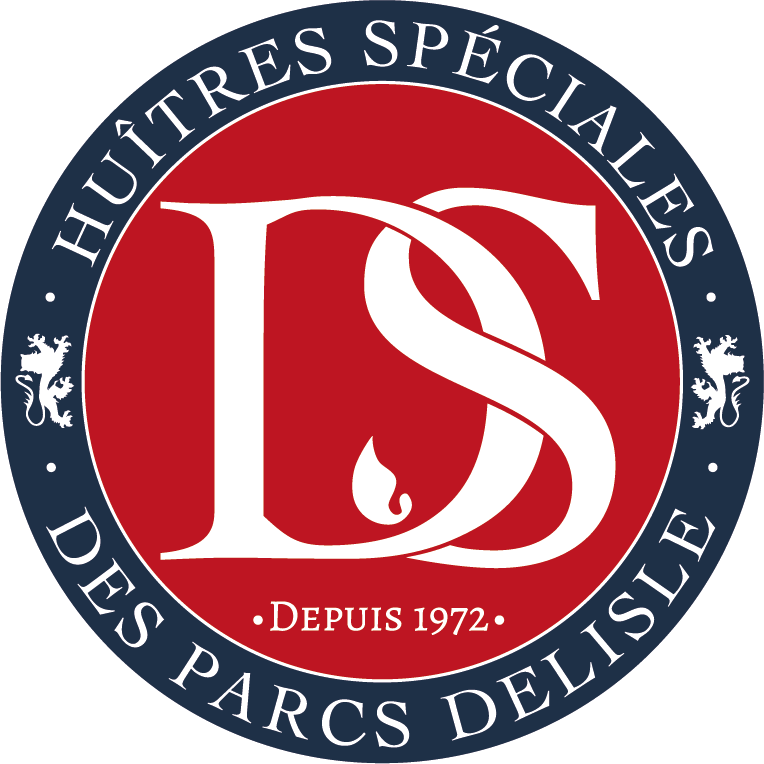 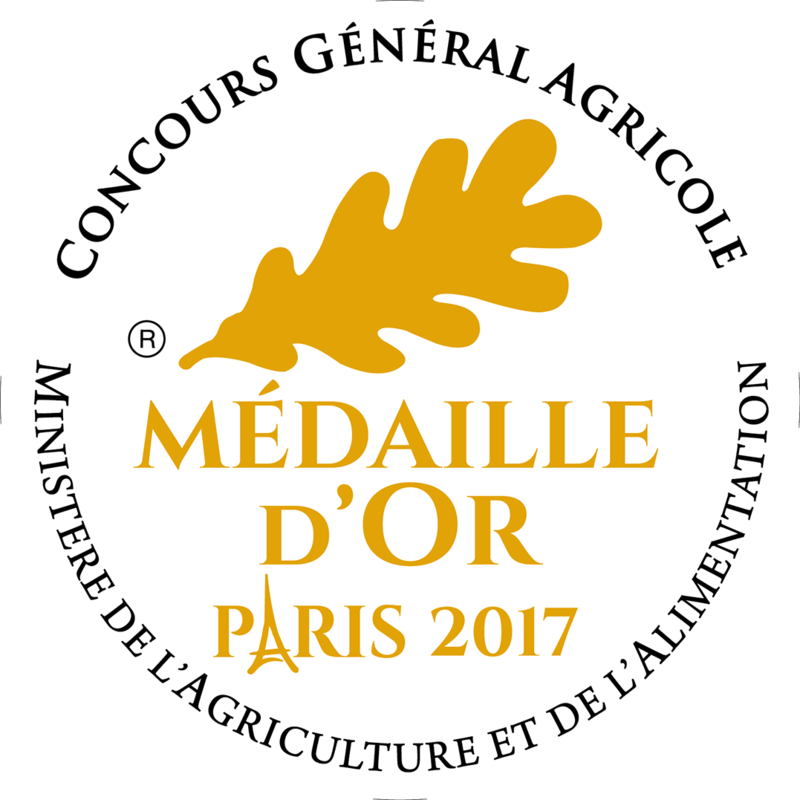 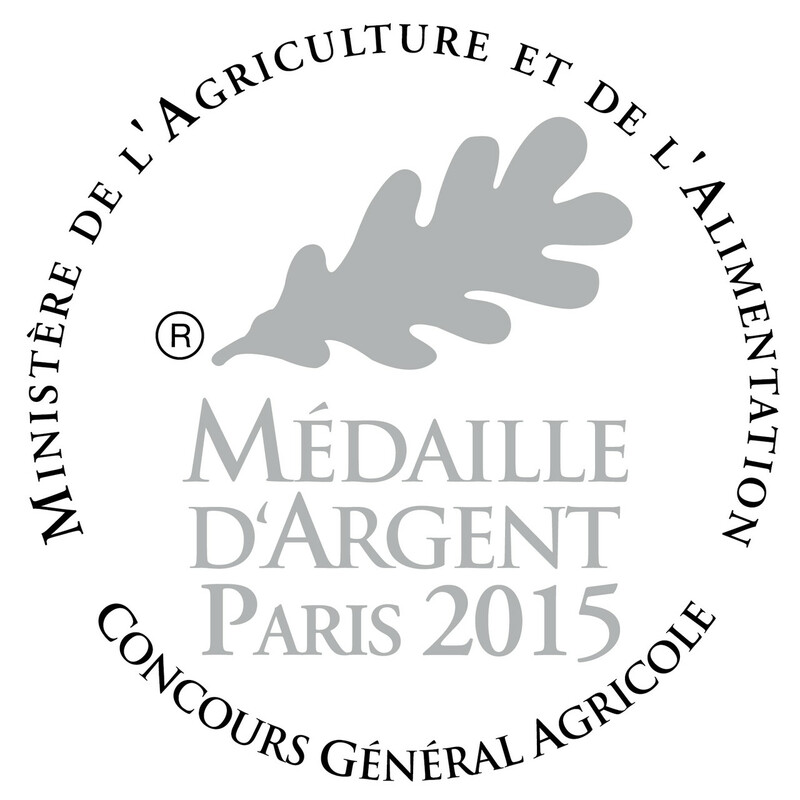 For its third General Agricultural Competition in Paris, our "DS Pointe d'Agon" range was awarded a gold medal in 2017. 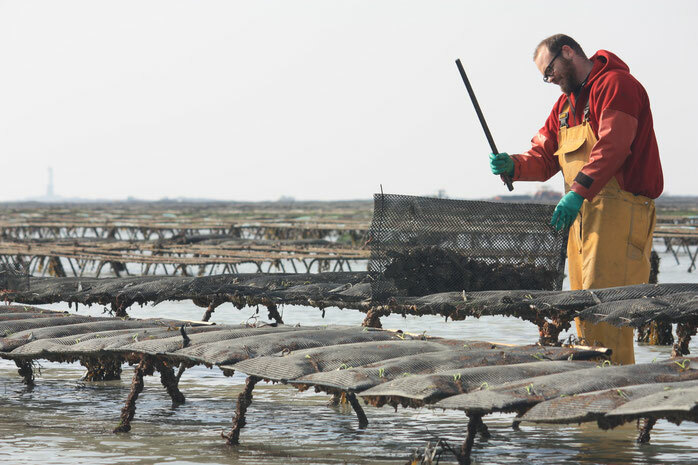 Oyster larvae are "caught" at sea on supports called collectors or raised in hatcheries, hatcheries. 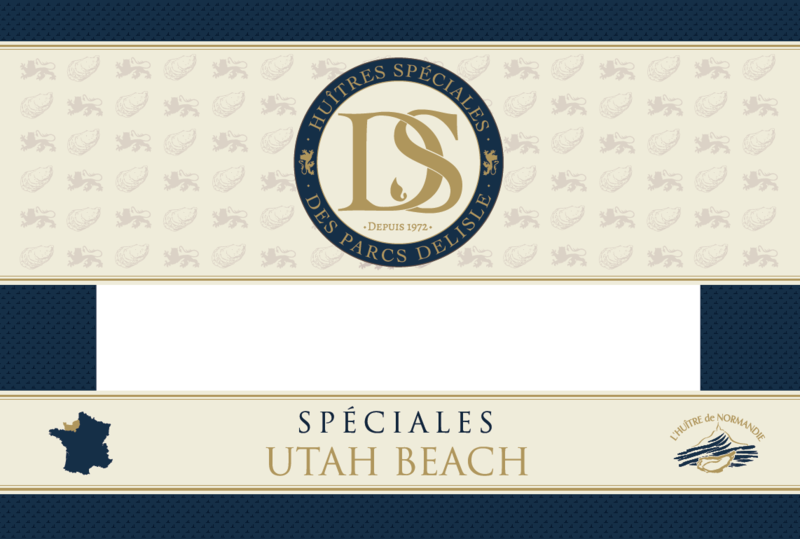 They are then referred to as spat. 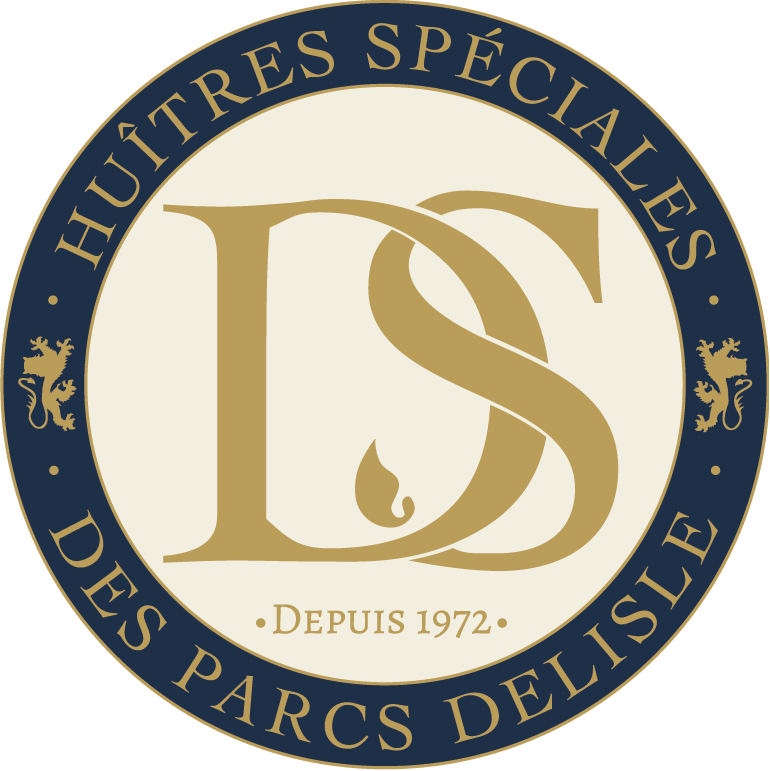 Aged about six months, the spat, which is 2-4 cm tall, reaches the Normandy coast and is installed on the coast in pockets on metal tables. Installed on the bottom of the foreshore and thanks to the nutrient richness of the coastal waters, the oysters grow quickly: they double in volume the first year. 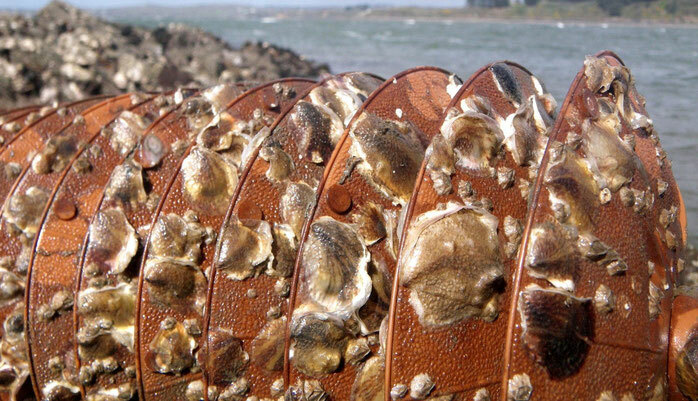 The pockets are often thinned to the ground by dividing the oysters into several pockets. 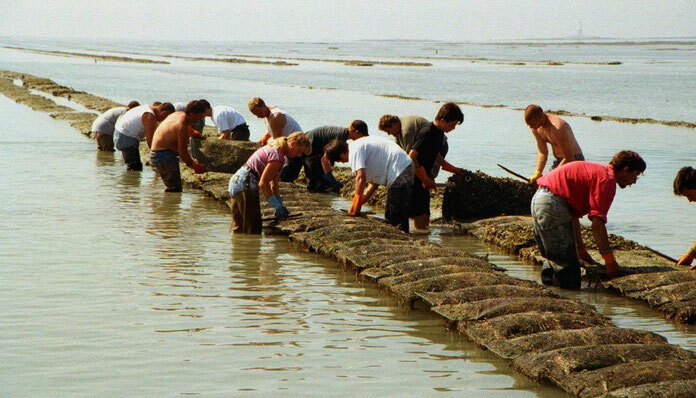 During harvesting or their growth, some oysters stick together and are brought back to the ground to take off this operation is called "detroquer". 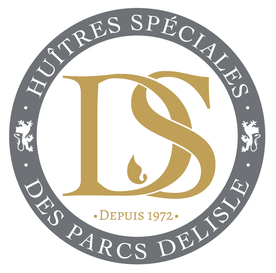 The breeding continues: the pockets are regularly shaken and turned, this manipulation is called the pocket turn. 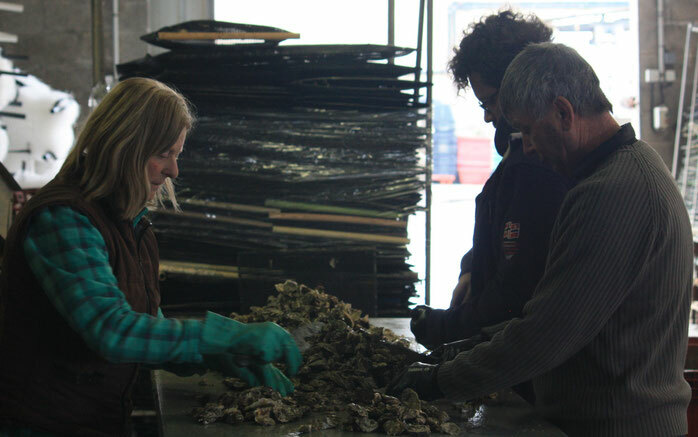 They are also emptied on the ground where the oysters are calibrated and then put back into pockets according to their size. The time has come for the refining where the oysters are to be deposited more on the ground on the top of the foreshore, they acquire vigor and character thanks to a more regular gymnastics. 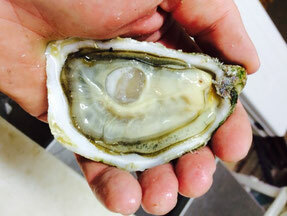 It is this long period of breeding that will give the oyster its particular taste character according to the place of finishing, as for wines, we can speak of terroir. After three years of breeding, the oyster reaches its commercial size. 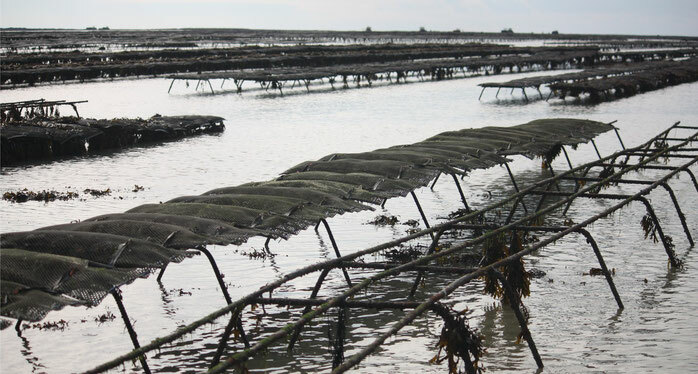 The oysters are washed and sorted, and are then assigned a gauge number ranging from 0 to 6, depending on their weight. Oysters are stored in "purification" water basins for 24 to 48 hours. 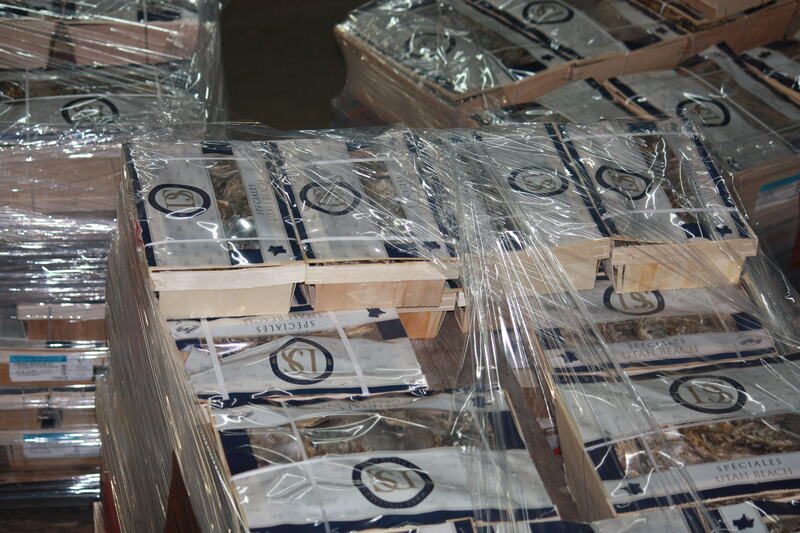 On the day of shipment they are washed again before being stored flat, hollow valves underneath, in sealed baskets.